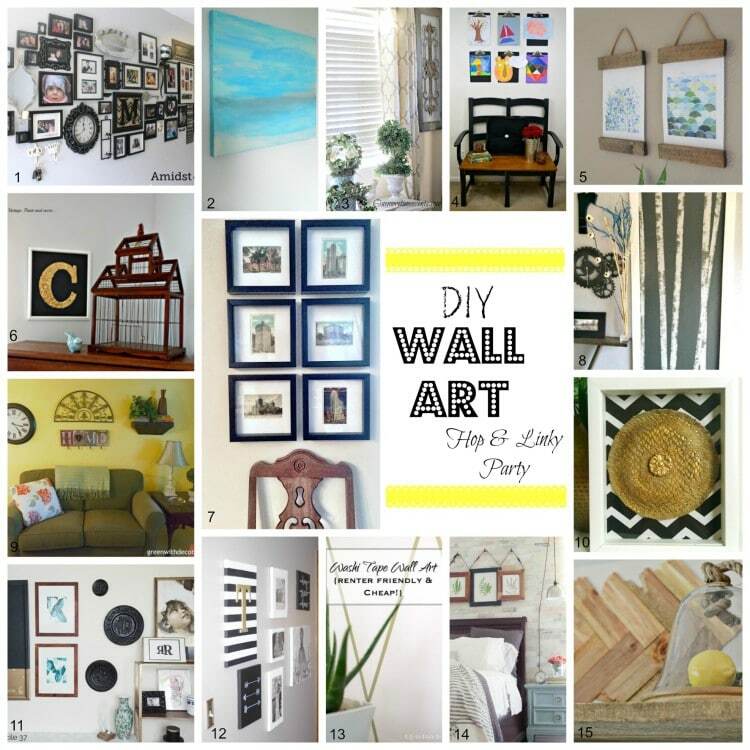 Hi and welcome back to our DIY Wall Art Flip Flop! If you are wondering about any of those, see the original post HERE with links to all the fabulous projects. So, then we decided to all pick someone else’s project and do a “wall art flip flop”. Go check out all the other flips, there is some great stuff! I picked #12, a piece from Refashionably Late‘s cool black and white gallery wall. I have a black and white theme going on in here and this project was so easy and quick. I had the “R” lying around, and I couldn’t figure out where I wanted it to go. It was looking a little drab by itself. Plus, I had all the materials that I needed so it cost me nothing. Cha-ching! Ruthie used a canvas, which I didn’t have, but I did have a square piece of plywood just the right size. This project is so great because you could even use a piece of cardboard. 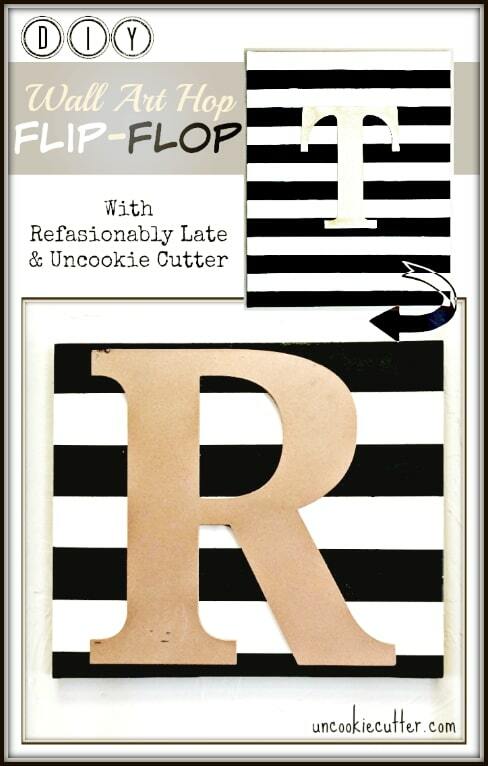 Really, anything would work for this wall art flip flop. Visit Ruthie to get all the details HERE. Here it is all set up in our game room. Will I ever move on to another room? Maybe, one day…haha. Here are some links to the other projects on this wall. And, the game room wall is complete. I’m moving on the ledge on the left. I love it April! Your game room is looking fabulous and what a perfect spot for the new art work! I’m loving black and white right now too! This is so cute! love how much it pops on your wall. Hey April ~ You and I are on the same wavelength, because I flip flopped the same project! 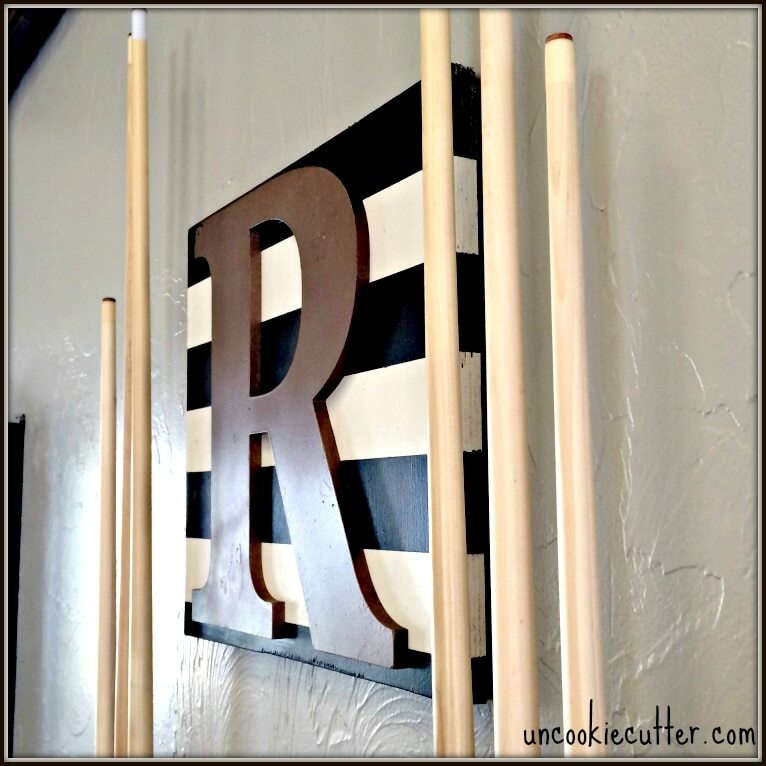 :0) I love how the black & white stripes look on your game room wall. Such a gorgeous statement piece! And I love that you used plywood instead of a canvas. Using what I have always makes me extra proud of a project! Awesome work!! Thanks Tiffany! I LOVED what you did with this, so inventive with the deer head. Thanks for stopping by! April it turned out great!! I love how you used wood and already had all of the materials!! I love it! Thanks Ruthie and thanks for the inspiration! Love your version of the monogram art. Your game room is coming together so nicely!!! Great project! Thanks for linking up to Blogger Brags. I have pinned your post to the Blogger Brags Pinterest board. LOVE THIS! 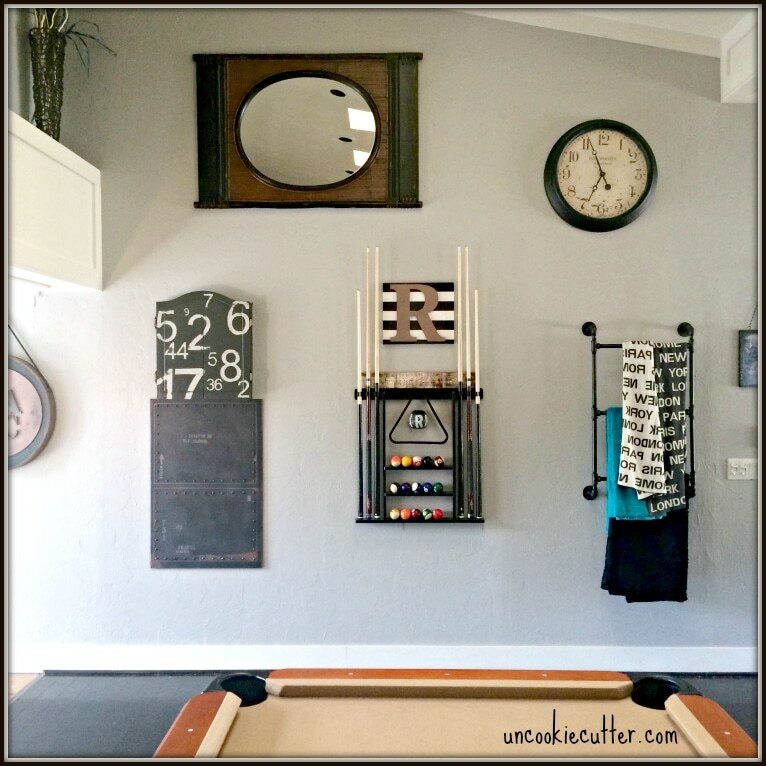 & love how your game room looks! Thanks so much for linking up at Pin Worthy Wednesday! I love this! So creative! Bonus points for using materials you already had on hand! Thanks for sharing at Friday Favorites! We hope you will link up again! This looks awesome! Thanks for sharing at Merry Monday, hope to see you again next week!